Got OCD? – A Guide for Teens is written for teens who have been diagnosed with OCD, or who have noticed unusual OCD-like behaviors or thoughts that are getting in the way of schoolwork, friendships, extra-curricular activities or family relationships. 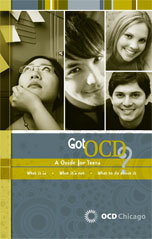 It provides practical information about the disorder and treatment, and assures the teen that he or she is not alone. 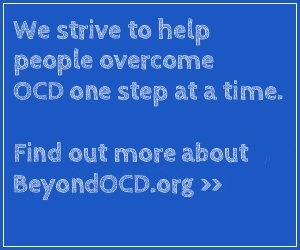 It’s also popular with parents who want to provide information to a teenager in their household who may be suffering with OCD.